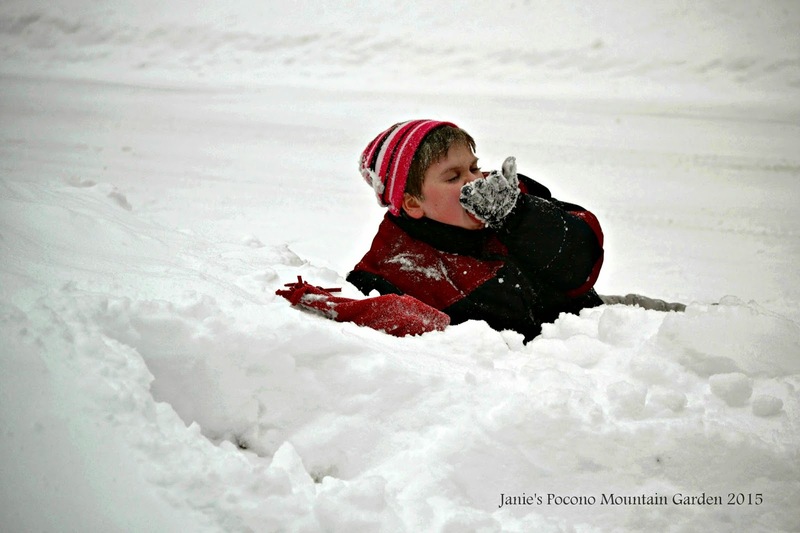 I live in northeast Pennsylvania, and for me, snow is an integral part of the landscape in winter. Having a bad case of the Winter Blues is like second nature to me ... especially since the days are long, cold, and often dreary. The last thing I might feel like doing is going outside. Yet, I've discovered, a secret I want to share with you. If you're suffering from cabin fever, that's exactly the right thing to do to beat the winter doldrums. Bundle up, go out ... and explore. If you have one, take along a camera. Nature's simple beauty is there ... if you look for it. 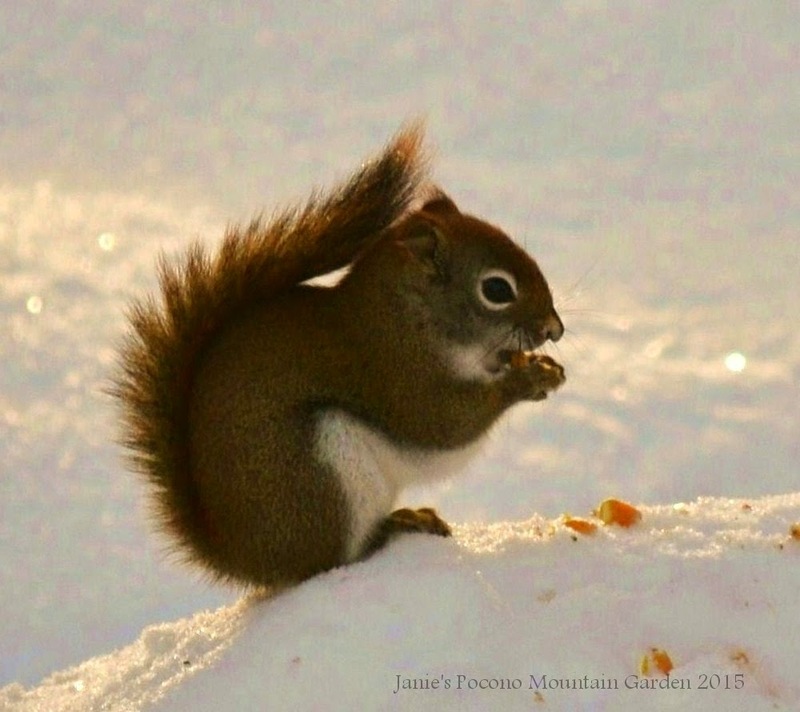 There's nothing unusual about seeing squirrels out in the snow. But look a little closer. Did you ever notice the fan on a squirrel's tail? Kind of spiky, isn't it? 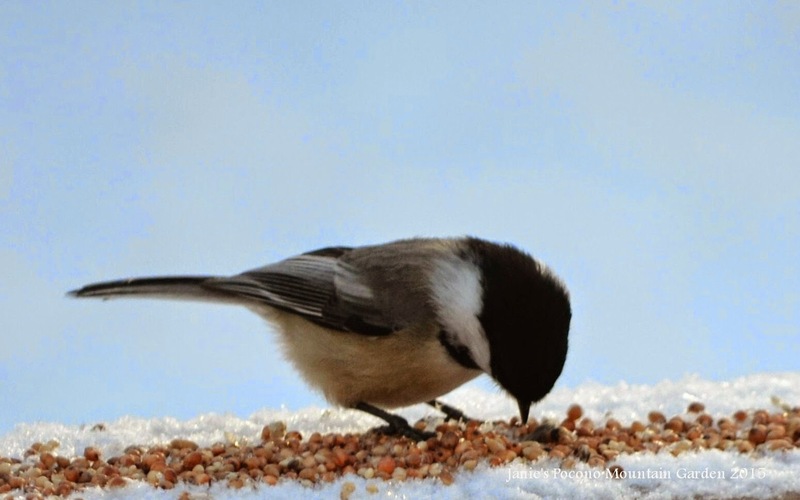 Or, did you ever notice the way a bird's legs bend backwards? If you live in a heavily wooded area as I do, seeing deer foraging for food probably wouldn't make you look twice. 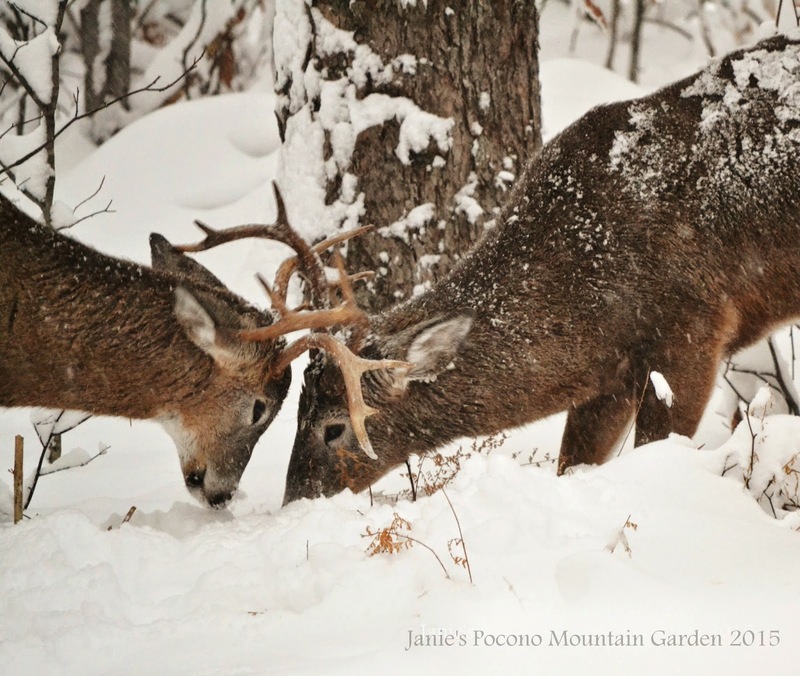 But seeing two bucks sparring in early winter ... well, that's something that left me absolutely ... awestruck. 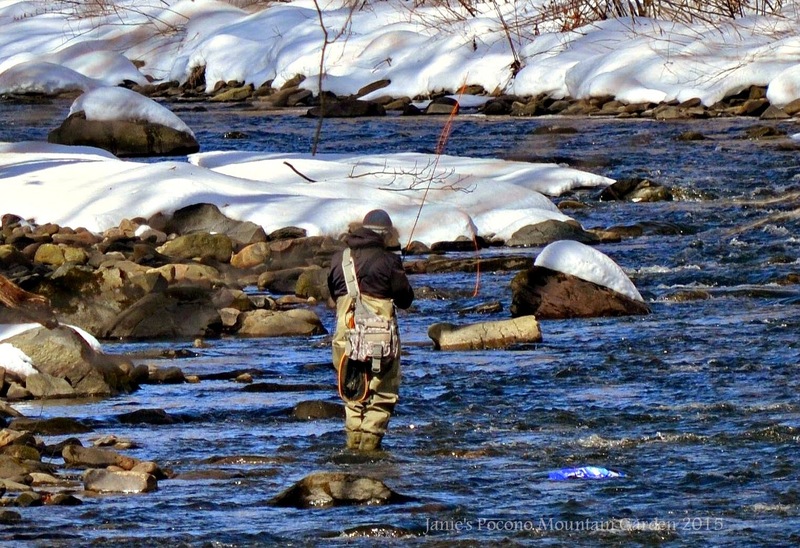 Rivers, lakes, and streams may seem totally uninviting in the heart of winter to most of us. Yet, there is natural beauty there. With my camera, I was able to appreciate it thanks to the determination of an avid fisherman. And lastly, to a child snow can't be anything but ... magical. The taste, touch, and feel of it is like nothing imaginable. And you know what, there is nothing else like it. Maybe ever so often, as adults we should take a step back. Open our hearts, and see it through the eyes of a child again. When it snows you have two choices: shovel or make snow angels".